When I was asked by my friend whether I could come to Hanuman Temple which is located in Gilroy, CA . 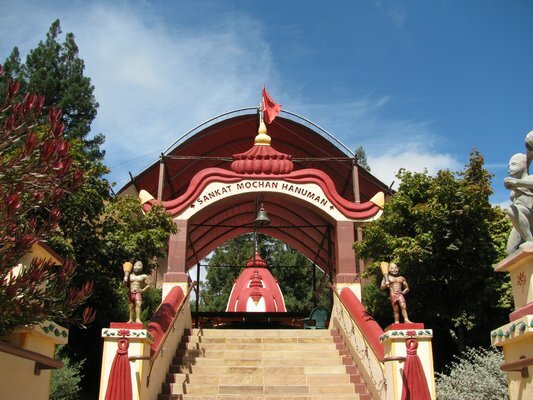 I was bit surprised to know that we have Hanuman Temple located in Bay Area. The reason for this surprise is that though I stayed for longer period in Bay Area, I didn't know about this wonderful place. One more phenomenon about this place is that this temple is running mostly by foreigners. The reason behind this is that they all are disciples of Baba Hari Das.Let me make you all to explore this self divining , serenity of senses and blissful place through my experience . 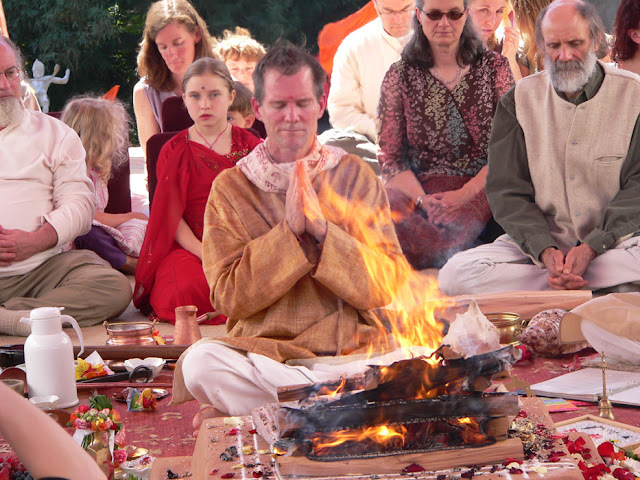 A little about Guru Hari Das Baba HariDas is a muted monk from Kumaan region of Northern India. He has not spoken since 1952 and transforms his communication by writing in a small white board. The history starts about 30 years back from now . The Mount Madonna Center is a private residential and conference centre founded by students of Baba Haridas in 1978. The temple was founded in 2003, when Guru Das swamiji was shown the Hanuman Murthi by his disciples which was shipped from India in 2001 , Babaji wrote on his board "It needs Temple" and that's how Sankat Mochan Hanuman Temple was founded in 2003 which was running by the disciples of Baba Hari Das. The place is located in Mount Madonna centre, Watsonville which is about 14-15 miles from Gilroy. Once we entered the zigzag road path we could see the exemplary scenic beautification of landscape. As we entered the entrance of Temple premises We were welcomed by warm Namaste from foreigner. Helped us in terms of parking and temple details. Pure bliss and euphoria is what I felt when I saw the temple. The beautification sculptures of different idols, environment , rocky hills, ringing bells made me for a while that I am in India. Apart from Indian priests even I saw foreigner priests conducting pujas and offerings(prasad) to Anjaneya. 1.Went to Anjaneya's world cafe - Had samosas, masala chai , coconut water to satisfy my ravenous stomach. 2.Ocean View Gifts and Book store - Brought music CD's(one is temple made Devotional CD, the blissful music from David Newman and Hand band(Kind of hobby and love to wear hand bands). For the newbie's there will be slight confusion if followed through GPS . A detailed info is given by Temple community for driving directions. చక్కని టపా అండీ! వాస్తవానికి మన భారతీయ సాంప్రదాయాల మీదా, ఆచార వ్యవహారాల మీదా విదేశీయులకే గౌరవం ఎక్కువ. మనం చెయ్యాలని చేస్తాం ఎందుకు చేస్తున్నామో కూడా మనలో చాలా మందికి తెలియదు. కానీ వారు అలా కాదు నేర్చుకుని చిత్త శుద్ధితో ఎందుకు చేస్తున్నాము? పరమార్థం ఏమిటి అని తెలుసుకుని చేస్తున్నారు కనుక అంత పారవశ్యం కనిపిస్తుంది అనిపిస్తుంది నాకయితే.